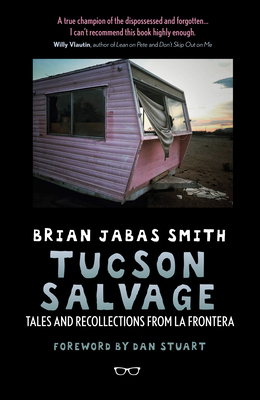 The Beat Angels frontman and former Phoenix New Times journalist visits with a collection of essays based on his award-winning Tucson Weekly column. Smith tells stories of people on the margin of society with remarkable empathy. Also tonight, Maggie Smith screens the festival-winning short documentary she directed based on the book. BRIAN SMITH has written for many magazines and alt-weeklies, and his fiction has appeared in a variety of literary journals. He's an award-winning journalist, first as a staff writer and columnist at Phoenix New Times and then as an editor at Detroit's Metro Times. Before writing full time, Smith was a songwriter who fronted rock 'n' roll bands Beat Angels and, before that, GAD. He has penned tunes with lots of folks, including Alice Cooper. At one point he overcame heady crystal meth and alcohol addictions. As a kid growing up in Tucson, Ariz., Smith was a national class bicycle racer. He now lives back in Tucson where he writes a regular column in the Tucson Weekly centered on unsung heroes, people on the fringes and the desolate beauty found in unlikely places. Spent Saints is his debut collection of short stories.